Thank you for voting for us to be the best DJ in Sheboygan County! We have a sale for upcoming events and weddings - Email or Contact Us for sale prices. NEW! Infinity DJ now offers beautiful uplighting. Uplighting fills the entire room with a color or colors of your choice and highlights the hall or venue's natural beauty. for your Wisconsin / entire Sheboygan county including Kohler & Elkhart Lake. Also Appleton, Green Bay, party or event. NEW Uplighting fills the entire room with a glow color of your choice and highlights the hall or venue natural beauty. 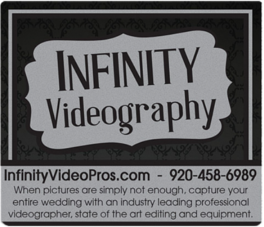 Infinity DJ also offers a fun photo booth and professional videography or video recording & editing of your wedding and events. Select the photo booth or videography above to learn more! Please email/contact us: View current sale packages, options, uplighting, photo booth, video, and much more! Make your wedding, event or party unique! Infinity DJ is a wedding and event specialist, making your event or wedding special to you is what we do! Choose a professional with years of experience when it comes to your next wedding, event or party in Sheboygan and Wisconsin. Infinity DJ is definitely not your average DJ, call us today and find out why more people book their weddings and parties with us first! 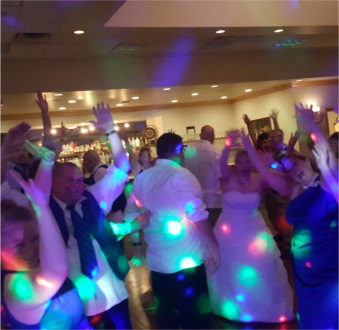 Infinity DJ is located in the Sheboygan Area, but provides services to all of Wisconsin including surrounding areas such as a DJ in Manitowoc, Green Bay, Fond du Lac, Appleton, or Milwaukee. We travel within Wisconsin and also have performed many destination weddings such as Hawaii and Jamaica. Our Infinity DJ’s have been performing for many years. Our seasoned DJ’s have performed well over thousands of weddings and events in Sheboygan. When booking with Infinity DJ you will have DJ’s with experience and personality to make your event a success. We are currently running a sale for the next year in Wisconsin, please contact us ASAP via email to hear about our current sale. We are professional and affordable. No hidden fees. We provide face to face pre-event consultation(s) to ensure your night goes as planned... No surprises. If you are unable to travel to our location, we can chat over the phone or video chat to ensure your event or wedding is a success! With every event or wedding in Sheboygan and surrounding areas you receive a professional DJ with years of experience, environmentally friendly LED dance lighting, a fun DJ that takes requests, a wide variety of music from 1940 to today’s top hits, we offer wireless lapel microphones for events or wedding ceremonies. 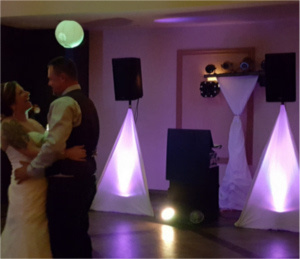 Professional equipment is used with every event and wedding to ensure you have constant playing music, our DJs do not take a break and keep the music going all night. Clayton's Photo Booth, bundle and save with a fun Photo Booth!! 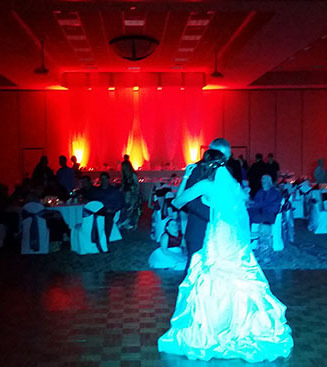 Based in Sheboygan, WI - Infinity DJ has been performing many events and weddings since 2000. With any happy weddings, we know how to keep your celebration rocking! 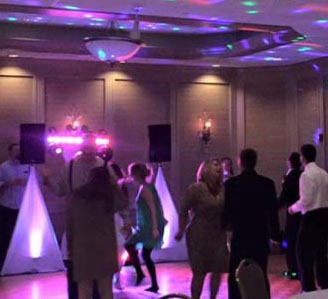 You can be confident your event will turn out to be a success with a professional DJ in Sheboygan, Manitowoc, Green Bay, Appleton, Fond du Lac. Beautiful weddings, fun events and parties. Infinity DJ is your one stop shop for your wedding in Sheboygan. Years of experience help us make your event or wedding a success! Contact us today! Pay online here. Please note you must email the contract to Clayton@InfinComputer.com with signed last page. You can take a picture of the last page and email it to Clayton@InfinComputer.com with the complete (all pages) filled out contract file and worksheets (photo booth & videography). If booking a wedding, please email the wedding worksheet and ceremony worksheet 2 weeks before your wedding. Once we recieve it, we will confirm with you. Your date is not booked until both the contract and deposit is received. You will be emailed when the contract and deposit is received to confirm your date. If you do not receive a confirmation within a week and a half please contact us. You can also drop the payment and deposit in our drop box - email us to do so. Paying online will incur a 5% fee. Enter your First, Last Name & Event Date Below. If you do not enter the information you will not be booked. View our Blog View our Blog 2 View our Blog 3 Infinity DJ Event and Wedding Specialist Serving Wisconsin since 2000 Call Us Today to Book Your Party or Wedding in Sheboygan 920-458-6989 © Infinity DJ Sheboygan Wedding DJ All Rights Reserved.